Hypnosis has been in use for thousands of years. There is a great deal of evidence to support the belief that Hypnosis was being used by the Ancient Greeks and Romans - for therapeutic benefit - as far back as about the fourth Century BC. Hypnosis - coming from the Greek word 'Hypnos' (meaning sleep) was so-called because while in the state of Hypnosis, a person is very, very relaxed. Ancient Egyptians used hypnosis in their dream temples. Some ancient Egyptian paintings depict an apparently sleeping person with others who seem to be making hypnotic passes over them. Perhaps the best source of reference to hypnosis in early Egypt comes from the famous 3rd century CE Demotic Magical Papyrus which was discovered in the 19th century in Thebes. In the eighteen century an Austrian doctor named Franz Anton Mesmer found he could cure people of different diseases without medicine or surgery, and he believed he had a magnetic force which could regulate the flow of magnetic fluids in people to produce cure. In many cases his cures were successful and this method of healing came to be known as Mesmerism. Mesmer 'magnetised' a tree from which hung ribbons or cords for his followers to hold and receive his magnetic therapy. Another method he used was to fill a large tub with water, containing bottles of iron filings. Protruding out of the tub were iron rods which the common-folk held onto. Many of the patients had violent seizures or fell into deep sleeps which could cure many different kinds of ailments. Mesmer became very famous in Paris at that time and the French government, at the suggestion of Marie Antoinette, offered him a life pension and enough money to set up a clinic. Because Mesmer refused to allow the government representatives to supervise the clinic a huge controversy raged and in 1784 the King of France appointed a Commission to investigate mesmerism. The report concluded that animal magnetism and the magnetic field were figments of the imagination and Mesmer's practices and theories were regarded as worthless. The fact that many people had been cured of their ailments seemed of no consequence. In the middle of the 19th century a Scottish doctor named James Braid published a book called Neurhypnology or the Study of Nervous Sleep. He invented the word neurhypnosis from which the word hypnosis originated. In 1951, a young doctor named Albert Mason called upon to help a 16 year old boy who was suffering with an extremely bad case of ichthyosis. This is usually a hereditary condition in which the patient has fewer sweat and sebaceous glands than usual, which causes the skin to become dry and scaly. The boy's body was almost covered in a thick, smelly, black layer of hard, dried skin which often oozed with a bloody serum. He had suffered this condition since birth and conventional medicine had failed to help him. On two occasions he had been given skin graft operations but each time the new skin flared up like the rest of his body. It is thought that Dr Mason perhaps did not realize that hypnosis was not intended to be used to heal congenital diseases when he offered to help the boy. At a hospital in East Grinstead in Sussex, in front of a dozen skeptical doctors, he hypnotized the boy and gave him suggestions that his left arm would become clear. Five days later the blackened skin became crumbly and fell off to reveal underneath, reddened but otherwise normal skin. Ten days later the boy's arm was clear. Dr Mason proceeded to use hypnosis on the other parts of the boy's body, achieving remarkable results and the case was reported in the British Medical Journal for 1952. Three years later Dr Mason wrote a follow up article reporting that the results appeared to be permanent. by Shaun Brookhouse, PhD., DCH., FHRS., FNCH. 1998 has seen great developments in the profession of hypnotherapy, the most recent of these is the development of National Occupational Standards for hypnotherapy. Many ask "How has the profession developed to date?". I have taken the past 5 decades and catalogued the major issues. The main headings are Growth of Associations, Training, Quality Assurance, and Politics and Culture. It is my hope that by analyzing these headings since the 1950's it will give hypnotherapists a better understanding of our past, with the aim of securing a better future. The above recommendation became a recognition by the British Medical Association of the validity of hypnosis as a therapeutic discipline. In 1952 , the British Society of Dental Hypnosis was founded. This was to become in 1955, the Dental and Medical Society for the Study of Hypnosis. Finally in 1961, after an amalgamation the Society for Medical and Dental Hypnosis was formed. The Society changed its name in 1968 to the British Society of Medical and Dental Hypnosis. (Waxman 1989). The BSMDH still exists in this form today. There is even a Section of Medical and Dental Hypnosis in the Royal Society of Medicine. In the 1950's and 60's this was the only hypnosis association of any kind in the UK. Many psychologists who practised hypnotherapy joined the International Society for Experimental and Clinical Hypnosis in the United States. There was no organisation in existence for the lay practitioner of hypnosis. This is largely down to the fact that there were very few lay practitioners around at this time. Training: Even though the BMA recognised the validity of hypnosis, the subject was largely ignored by Medical Schools and Universities. (Heap & Dryden 1991). So the private sector became the provider of hypnosis training. This leads to a very interesting state of affairs. With so few physicians and dentists being able to train others in hypnosis, the private, lay hypnotherapy school was born. In the late 1960's Peter Blythe, a lay hypnotist, founded the Blythe College of Hypnosis and Psychotherapy. This school in a new incarnation, The National College of Hypnosis and Psychotherapy still exists today. Quality Assurance: In the 1950's and 60's quality assurance did not exist. However, it was insured in so much as the fact that only physicians and dentists tended to practise hypnosis. Therefore, by implication, the medical and dental professions looked after the practise of hypnosis through parliamentary statute. For the few non medically trained hypnotherapists there was no validation of training or monitoring of practise at all. Ralph Slater was an American Hypnotist who performed in Brighton in 1948. During this performance, a lady accused Slater of assault and professional negligence. The case allowed for the professional negligence but did not find that an assault occurred. (Singleton, Lord Justice 1952). This incident led to a private member's bill to be passed in parliament. In August 1952, the Hypnotism Act was placed on the statute book. The Act conferred power to any local authority which granted licenses for the regulation of places used for public entertainment, to attach conditions to that license in relation to the demonstration or performance of hypnosis. (HMSO 1952). Growth of Associations: From the late 1960's there was a growing interest in hypnosis by both the lay and psychological communities. Until now, there was no organisation for the lay practitioner in the UK. The publication of the Foster Report in 1971, changed that. Though the report was initiated by alleged abuse in the Scientology Sect, it became apparent that the practise of psychotherapeutic techniques by those not qualified in medicine or psychology would also be reviewed. The main hypnotherapy school of the day had a professional association linked directly to it, but in the early 1970's there was no independent body for non-medically and non psychological qualified practitioners of hypnosis. This letter became the start of the National Council of Psychotherapists and Hypnotherapy Register. This eventually split and became the National Council of Psychotherapists and the National Council for Hypnotherapy. This organisation is still in existence today. A few years later, in 1978, the British Society of Experimental and Clinical Hypnosis was founded. (Heap & Dryden 1991). 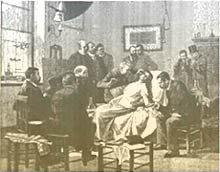 This organisation was established to represent psychologists, primarily, and physicians and dentists in the experimental and clinical uses of hypnosis. This organisation is still in existence today. With the advent of the British Society of Experimental and Clinical Hypnosis (BSECH), there has been a greater attempt to get universities involved with training professionals in hypnosis. Quality Assurance: As in the 1950's and 60's there was no quality assurance as such. However, with the advent of bodies like the NCP&HR and BSCEH, there was more self regulation beginning to emerge. By self regulation it is meant that these organisations had an embryonic system relating to code of practice, minimum training requirements, and complaints and disciplinary procedures. As the field grew in the 1970's there were increasing calls for some form of statutory regulation (Waxman 1989). Politics and Culture: The general public were still fairly ignorant to the applications of hypnosis. Stage hypnosis still had a high profile in this period, but because of the techniques of indoctrination employed by the Scientologists the public became concerned about the practice of psychotherapeutic techniques by those unaccountable to the law. (Heap & Dryden 1991). The Growth of Associations: The 1980's saw an explosion in not only the popularity in hypnotherapy, but also in the other so called Complementary Therapies (Boye-Thompson 1996). Several organisations were founded in the 1980's. Many did not last more than a few years, some others, like the Association for Professional Therapists (APT) and the Institute for Complementary Medicine (ICM) still exist today. This explosion was due to the growing demand of complementary therapies and the losing of faith in conventional forms of treatment. (Boye-Thompson 1996). Many of the hypnotherapy associations that were founded in the 1980's were directly tied to a training organisation. This use of "associated professional bodies" helped to add credibility to courses that could not or would not get validation from other sources (Brookhouse 1995). As far as the medical and psychological societies of hypnosis went, there was very little happening. The exception was the beginning of a campaign to legislate against lay practitioners (Heap & Dryden 1991). In fact, some published statements that lay hypnotherapists were not qualified to practise (Waxman 1989). Training: The growth of training courses went hand in hand with the growth of associations. From a relatively small number in 1980, the field of course providers grew to over 70 by 1989 (Berg & O'Sullivan 1997). Also, there was a increase in the 1980's of correspondence courses in hypnotherapy. The multitude of possible courses made many in the BSMDH and the BSECH uneasy. In fact, it led to some making statements as false as some claimed in various hypnotherapy prospectuses. Because of this, now, open hostility between various sections of the medical and psychological communities with the lay hypnosis community the need for a recognised course structure began to be recognised in the late 1980s. Quality Assurance: Similar to the previous three decades, there was no formal quality assurance for hypnotherapy courses in the 1980's. However, the need for it, especially in the lay community, began to become desirable. In the mid 1980's the ICM began to accredit training courses in complementary therapies. The first division to be established by the ICM was the hypnotherapy division. Four courses achieved accredited status with the ICM by the late 1980s (Boye-Thompson 1996). Lay associations began to develop complex codes of practice and accreditation procedures. Complaints procedures at this stage became less idiosyncratic with written procedures and set time scales. Despite these attempts to self regulate the field, there was still open hostility from the BSMDH and the BSECH. Politics and Culture: The 1980's began with an attempt to strengthen the 1952 Hypnotism Act. Though the Act primarily dealt with stage hypnosis, the proposed strengthening of the act would have practically eliminated the scope lay practitioners to practice (Kinnoull 1979). The amendments to the Hypnotism Act has the support of the BMA, BDA, The Law Society and a variety of Royal Colleges. However, it did not getpast a second reading in the House (Waxman 1989). The lay hypnotherapy profession were far too fragmented at this time to mount any kind of campaign to lobby Parliament for favourable legislation. In fact, at this stage the field was not even sure if legislation was the course to follow. The Growth of Associations: From the explosion of new associations in the 1980's, the situation seems to have stabilised in the 1990s. Though the hostility still exists in certain sections of the medical and psychological communities, the 1990s were started with a more conciliatory tone by the British Medical Association. The BMA approached several non conventional therapies and approached the main bodies representing them (BMA 1993). There seemed to be some common ground among the main players in the debate on the importance of associations. It was during the 1990s that the NCH grew from 210 members to 847. Through the main independent associations, there seemed to be a recognition that some form of accreditation to ensure the public good was now necessary. Also, the United Kingdom Council for Psychotherapy launched its first National Register of Psychotherapists in 1993. Hypnotherapy has its own Section within the Council, which has since been renamed to the Hypno-Psychotherapy Section. Though this is a relatively small Section within UKCP, it does allow hynotherapists to look towards being trained to European Standards through UKCP's membership of the European Association for Psychotherapy. The BMA Report led to a few skirmishes between associations to get the favour of hypnotherapists who were undecided as to who to align themselves with. At present, there are now only three major independent hypnotherapy associations in the UK, the National Council for Hypnotherapy, the Hypnotherapy Research Society, and the Association for Professional Therapists. Training: Training in hypnotherapy continues to be very popular in the 1990s. As of 1997, there are some 130 organisations that offer training in hypnotherapy (Berg & O'Sullivan 1997). However, the quality and length of training vary considerably. Both the NCH and APT have published guidelines of what is considered to be adequate training in clinical hypnosis. However, because of the legal system in this country, there are still those schools training hypnotherapists through suspect means of instruction as well as making exaggerated claims as to their recognition (Heap & Dryden 1991). Since the early 1990s two UK Universities have sanctioned degree programmes in hypnosis. The Universities are Sheffield and University College London. However, these courses are restricted to those who are either medically, dentally, or psychologically qualified (Centre for Psychotherapeutic Studies 1997). Quality Assurance: This issue has become far more important in the 1990s than in the last 4 decades. This issue has effected the entire profession. No longer is it enough to claim that you are the best, a training provider must prove his or her merits. One of the most effective ways of doing this is to participate in an accreditation programme. These programs vary widely. City and Guilds have been employed to accredit a training programme in hypnotherapy and counselling (UK Training College 1997). With training providers attempting a variety of ways of accreditation, it would appear that the single best way to ensure quality is a properly accountable registration scheme. Politics and Culture: In the 1990s there seems to be a greater feeling among practitioner, both medical psychological and lay, that there is a need for co-operation. The publication of the 1993 BMA report on complementary medicine,seems to have been a watershed in internal and external relationships. The general public still seek out the services of hypnotherapists. Perhaps in greater numbers than at any time before. The public will expect the profession of hypnotherapy to put its own house in order, so that people can consult a hypnotherapist in the knowledge that the person who they are seeing is competent. It seems likely that any form of restrictive legislation will not find enough interest in parliament (Morgan 1995). In 1997, the Prince of Wales, a long time advocate of complementary medicine, made a speech for the Kings Trust, that has serious implications for the field of hypnotherapy. This speech was directed at having an integrated health service which embraces the best of the orthodox and complementary medicine. It was determined in the report that was conducted by Exeter University which was also presented at this speech, hypnotherapy had a long way to go because of the variety of associations and training schools offering hypnotherapy and training. (Mills & Peacock 1997) With this new spirit of integration it would seem that the views of Heap & Dryden regarding the lack of interest in legislative issues regarding hypnotherapy would be no longer the case. To summarise, there has been a growth in the appearance of professional associations regarding hypnotherapy practitioners. This growth was slow during the 1950's and 60's. In the 1970's there was a gradual increase of bodies. While the 1980's saw a huge surge in new bodies which still carries on, although not quite to the same extreme in the 1990s. Training has developed from physicians only being trained in hypnosis to the situation today which is that many mental health professionals and lay people have been trained in the clinical applications of hypnosis. Quality assurance has developed rather slowly over the first three decades we looked at. In the 1980s it became more relevant. While in the 1990s there has been a general acceptance from trainers that some form of quality assurance would be desired, but the form this would take is till highly debated. Finally, hypnotherapy seems to have mirrored the political and social norms of the day. 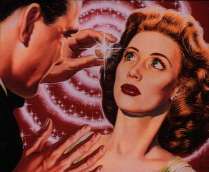 In the 1950's and 60's a more conservative approach was in existence, in that only physicians and dentists practised hypnosis. While things became more flexible in the 1970's. With the desire to let market forces rule the decision making processes of the 1980s many associations and training establishments competed for the interested student and practitioner of hypnosis. Now in the 1990s we see a more integrated and more co-operative stance on both society and hypnosis practice and training.